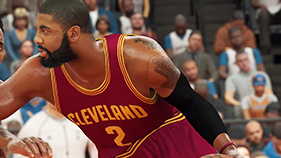 As momentum builds ahead of the release of NBA 2K17, 2K Sports has released another video trailer for the game. The trailer is accompanied by Imagine Dragons' Gold, which is also part of the NBA 2K17 soundtrack. NBA 2K17 will be available tomorrow (September 16) for those players who preordered and will be released worldwide on September 20, 2016.